Today, Evolving Gold Corp. (CVE:EVG), (PINK:EVOGF) stock may intersect the next long intervals of gold value for its shareholders following the announced by the company additional assay results from its Rattlesnake Hills project in central Wyoming. 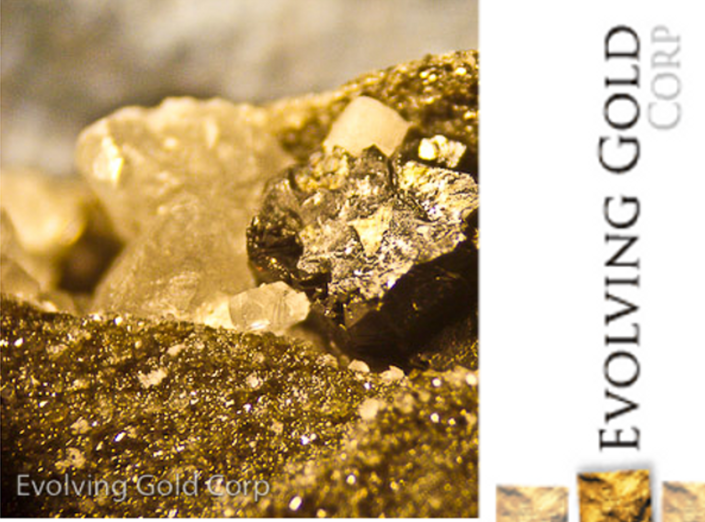 Yesterday, on the Toronto Stock Exchange the last update of the company on the drilling program progress and the assay results from the above mentioned project elevated sharply the share price of Evolving Gold Corp.. Though the formed huge price gap did not result in overcoming of the psychological price limit of $1.30 per share, EVG advanced by 10.19% between the sessions and closed the market with no change in the price. The far-flung Doji expressing investor uncertainty left the disentangling of the node of the share price range for today's trading session. The volume traded was heavy, but still not so strong as it was at the beginning of the month when in one trading session EVG jumped to a trading range over $1, an unseen share price level since the beginning of the year. 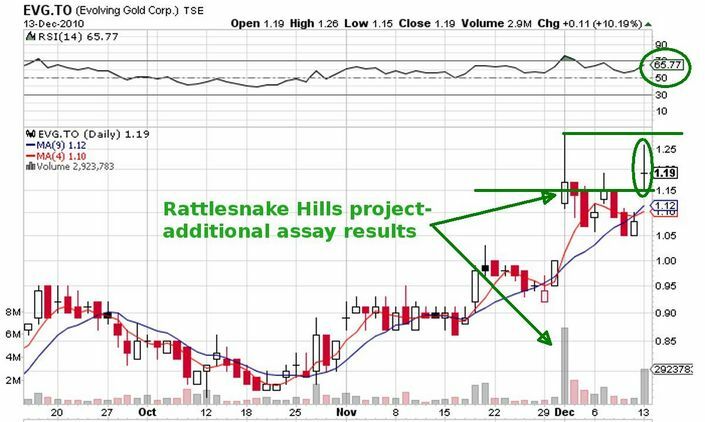 This was the time when Evolving Gold Corp. announced the assay results from its infill drilling program at the Rattlesnake Hills project in central Wyoming, the outcome of which was the huge EVG stock stir. Looks like yesterday investors on both markets needed more time to reconsider the fair price of the shares, which was "drilled" by investors like infill drilling at short intervals to rise on the released drilling results. The term infill drilling means diamond drilling at shorter intervals between existing holes used to supply greater geological details and to help establish reserve estimates. The short intervals between the company's stock stirs and the reckoning of the stock price on the good financial condition of the company convince that on the mid-term the shares may further add gold value while the company is establishing the reserve estimates.